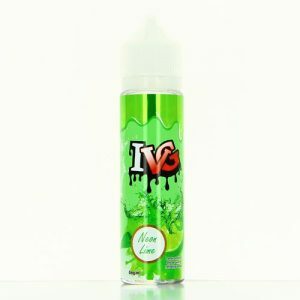 IVG 50ml Shortfills, Sweets, Deserts ,Lolipops, Fruits, Mints and Menthols. IVG has something for everyone. Fantastic value at only £12.99. Blue Raspberry; flavour has sweet yet tart notes, while a layer of ice to finish creates a slushie drink taste. Purple Slush; is a dark fruit blend for a layered taste. The grape provides the base of the flavour, with notes of bubblegum and lime with an ice finish. Strawberry Sensation; The ripe-tasting strawberry is consistent throughout, accentuated by a candy note and a cooling mint to finish for a layered vape. Summer Blaze; a mixed fruit flavour blend hits you from your first vape with a hint of peach. On exhale, a sharp Sicilian lemonade creates a cool citrus finish. Neon Lime; is a citrus fruit blend with a cooling aftertaste. The combination of zesty lemon and lime with an icy kick.